The first-ever authorized sequel to J. M. Barrie's Peter Pan! In August 2004 the Special Trustees of Great Ormond Street Children's Hospital, who hold the copyright in Peter Pan, launched a worldwide search for a writer to create a sequel to J. M. Barrie's timeless masterpiece. 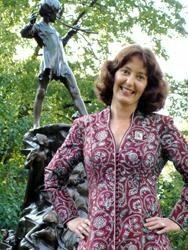 Renowned and multi award-winning English author Geraldine McCaughrean won the honor to write this official sequel, Peter Pan in Scarlet. 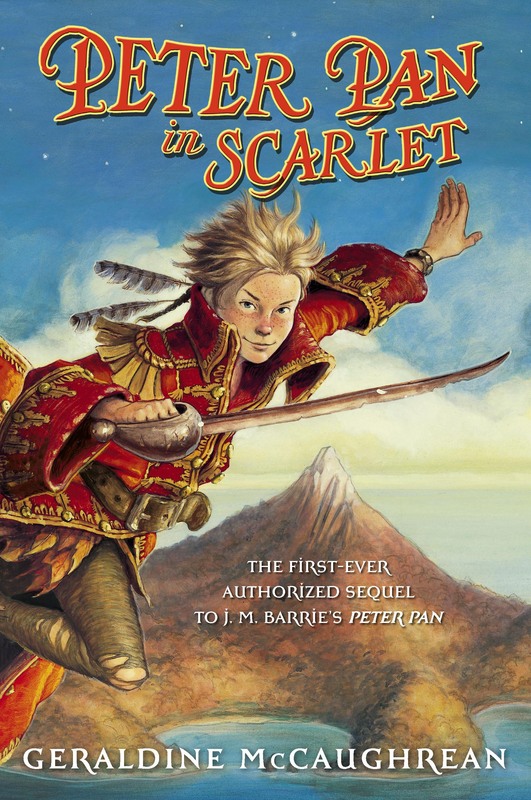 Illustrated by Scott M. Fischer and set in the 1930s, Peter Pan in Scarlet takes readers flying back to Neverland in an adventure filled with tension, danger, and swashbuckling derring-do! Geraldine McCaughrean is an award-winning author who has written more than 130 books and plays for children and adults. She recently won the Whitbread Children's Book Award for the third time with Not the End of the World, and her other awards include the Carnegie Medal, the Guardian Fiction Award, and the Smarties Bronze Award. She lives in Berkshire, England. Visit www.geraldinemccaughrean.co.uk. Scott M. Fischer is a painter by birth, a musician by training, and a storyteller by choice. Best known as the author/illustrator of JUMP!, he is also the illustrator of Twinkle, the New York Times bestselling Peter Pan in Scarlet, Lottie Paris Lives Here, and Lottie Paris and the Best Place. Scott lives with his wife, daughter, and a menagerie of animals in Belchertown, Massachusetts.